It’s one thing to find clothing and shoes that fully accommodate your size, but to find a mattress that is PERFECT for the fuller figure; that’s a unicorn. Ladies and Gentlemen, I’d like to introduce the Big Fig Mattress. 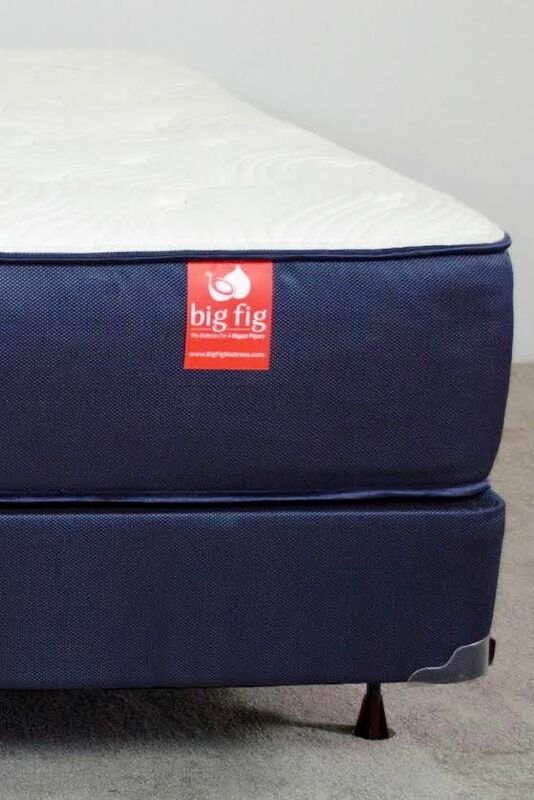 When the team over at Big Fig reached out to me about conducting a review on the Big Fig mattress, it couldn’t have come at a better time. Sleep is one of the most underrated forms of healing. 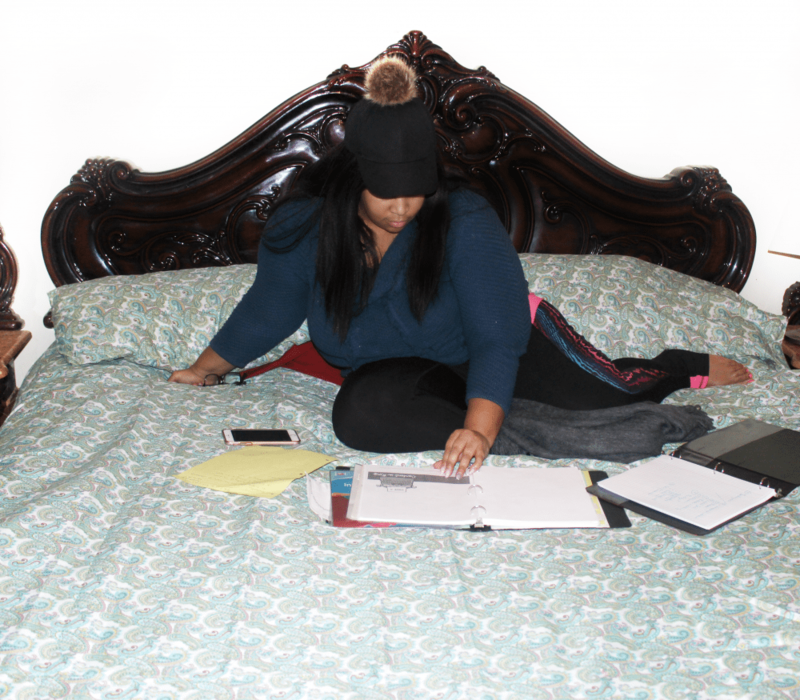 In my post entitled, Chardline Gets Ready for Grad School I talked about how busy my life is. I work a full-time career as a Fair Housing Investigator, I take night courses twice a week, I am the only person operating this blog, familial obligations never seem to stop, I go to the gym three times a week, and I spend many nights on long bus rides to New York and back. Can you imagine what the physical toll this has taken on my body? As a plus size woman with lots of junk in the trunk, I often have pains that radiate from my lower back. Upon seeing a physical therapist, she asked me about my physical activity. I mentioned everything I stated above, and she told me how common this was for people my size. She talked about how being bottom heavy tends to add a strain to the back. It’s like a constant pulling down. After a two mile jog, the first place I would begin to feel discomfort is my back. And to make matters worse, this pain worsens as soon as I hit the bed! My back would often sink into the bed, and the lack of support would exacerbate the pain. After 3 and half months with Big Fig, it takes me less than 5 minutes to fall asleep peacefully. While my physical therapist gave me great suggestions to help build up the strength in my back, it did not help with my painful sleepless nights. 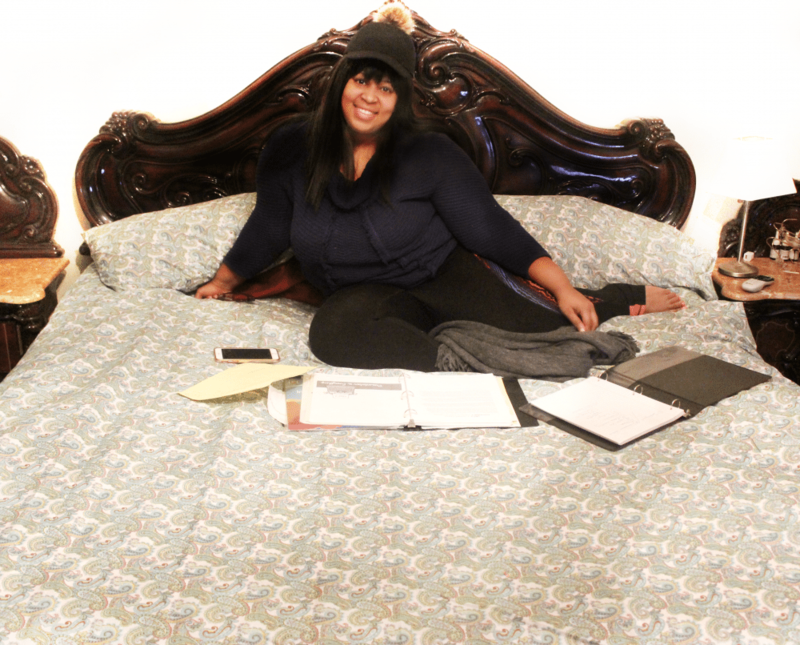 But the support of the Big Fig mattress is like no other. My back is fully supported, that means no lower back sinking. The firm yet comfortable support feels like an illusion. I didn’t realize it was possible to achieve both. Even after three months of my mother, my nephew, and I sleeping on the bed, there isn’t any wear on the bed! In the past, I thought if I purchased a larger bed (meaning upgrading from a Full to King), I wouldn’t rectify the issue. Unfortunately, that just provided a bigger bed, not a supportive one. Also, I tried getting beds that were foam-based. But again, although I felt like I was sleeping on a cloud, the middle of my back would continue to hurt and sink. 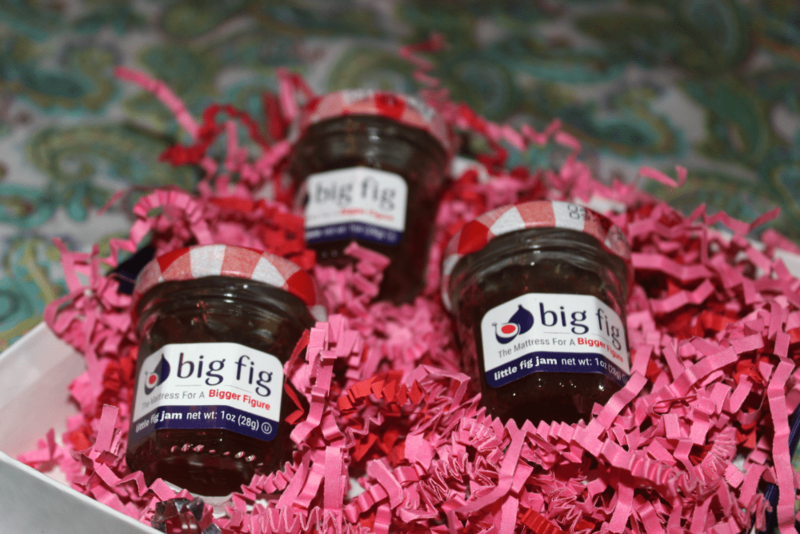 I love my Big Fig bed and I always recommended it. Just so you know they have a mattress coupon code available, so make sure to use one! *High Density Foam -The Big Fig Mattress is constructed with 3 inches of high-density foam cushioning, with a minimum density of 1.8 pcf (pounds per cubic foot). That’s over 50% denser than the foam in a standard innerspring mattress. *Hybrid Construction– The Big Fig’s hybrid construction of springs and foam provides the ultimate mix of support and comfort. Individually wrapped coils support the layers of foam to maintain their shape and resilience over time. *Innerspring System- With 50% more coils than the average premium innerspring mattress on the market, our 1600 count innerspring system actively pushes back against body weight, and provides underlying support. *Firmer Edge Foam To Keep You Happily In Place– The Big Fig Mattress is designed with the firmest foam around the edges to keep you feeling secure in bed, even close to the edge. Supportive edges also expand the usable sleeping area, making your mattress feel more spacious. the average lifespan of a traditional mattress is frustratingly short – especially for plus size sleepers. We sent the Big Fig Mattress to an independent testing facility to prove its durability and longevity. We used a heavier weight than normal (350lbs to be exact) to simulate 20 years of use, and the Big Fig passed with flying colors. My Big Fig has not only become my beacon of rest, but I often do my homework there too. Before the big figure, I honestly couldn’t wait to start my day because I would do anything to escape my sinking back pains. But now, you might as well send in the jaws of life because I’m not getting off this bed. Also, my mother loves the bed as well! She usually receives cortisone injections for her back issues, but while I was on vacation, she stayed in my room for three weeks. Since then, little by little her back has been showing signs of improvement and less dependency on her muscle relaxers. Her birthday is coming up in March, so I can’t wait to redeem code: FEBFIG to receive $200.00 off my purchase for her. A good night’s sleep is truly an investment in your health. With all the hustle and bustle of my life, I needed to prioritize health outcomes. And with Big Fig’s 20-year warranty, HOW CAN YOU LOSE!! Also, please invest in the bed frame because my last bed frame collapsed on me and I was sleeping on a box spring for some time. So this 315lb girl is satisfied. Her mom is going to be satisfied, and I know you will be too! If you have any questions, please feel free to reach out. Or do you want to find out about what other plus size influencers think? Check out Natalie , Bruce, Alysse , and Corrisa. A king size Big Fig mattress was provided to me, but my opinions are 1000% my own! Great read! Very informative! I have serious back problems too! A mattress like this would be awesome to have.